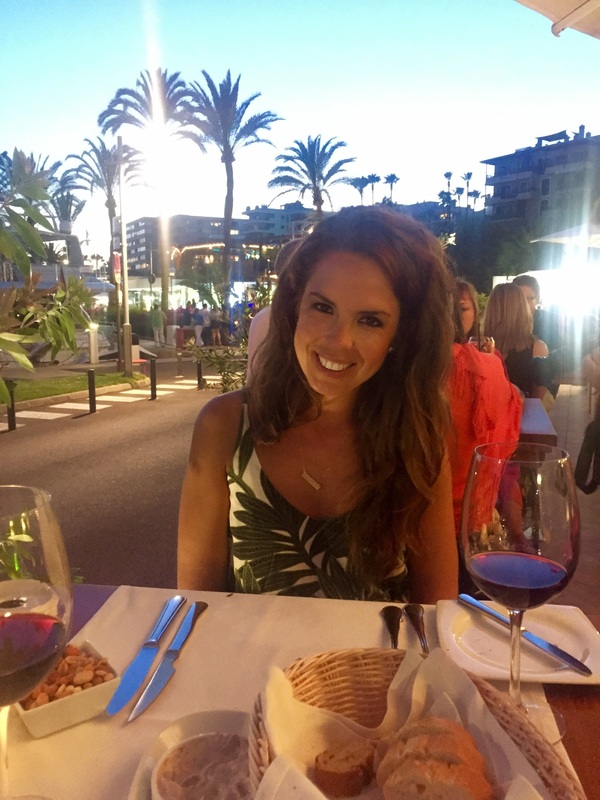 Tastes of Mallorca – T.W.O. Published on August 6, 2015 February 3, 2016 by T.W.O. 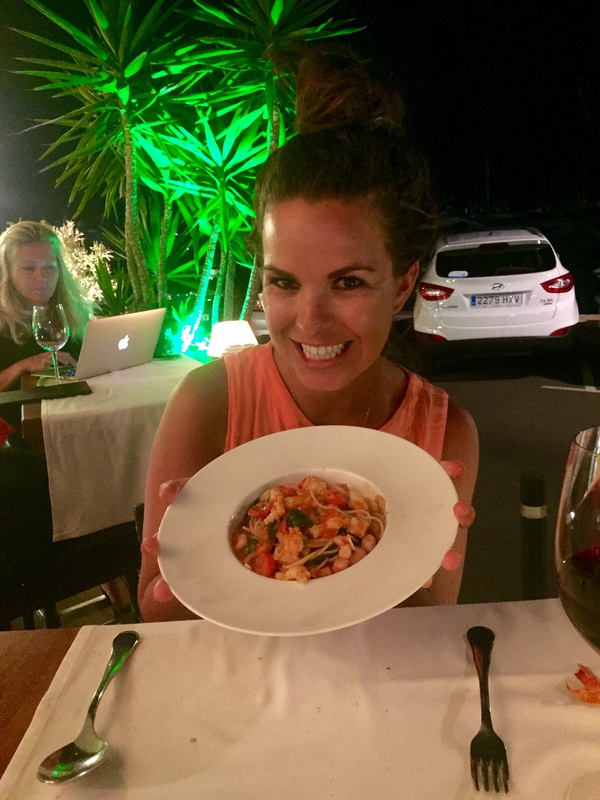 Mallorcan cuisine is just as beautiful as the scenery. 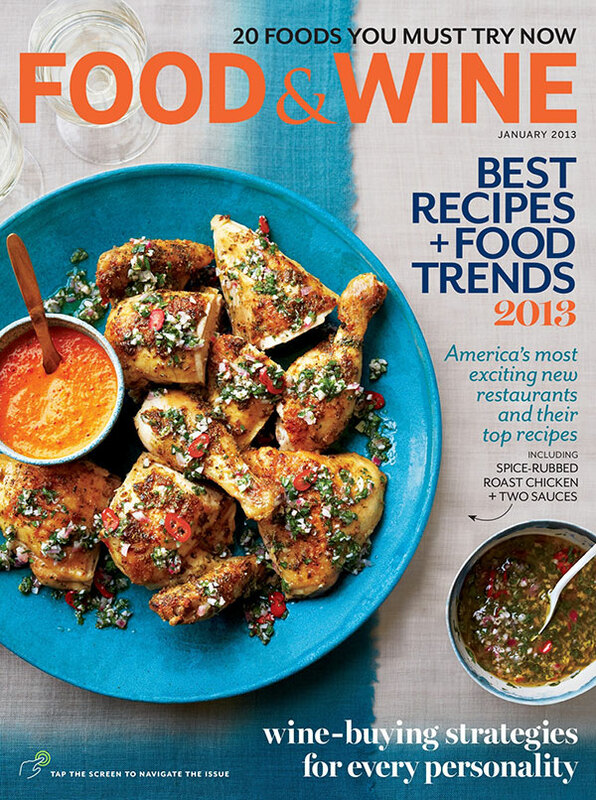 Its fresh, flavorful and carefully prepared. 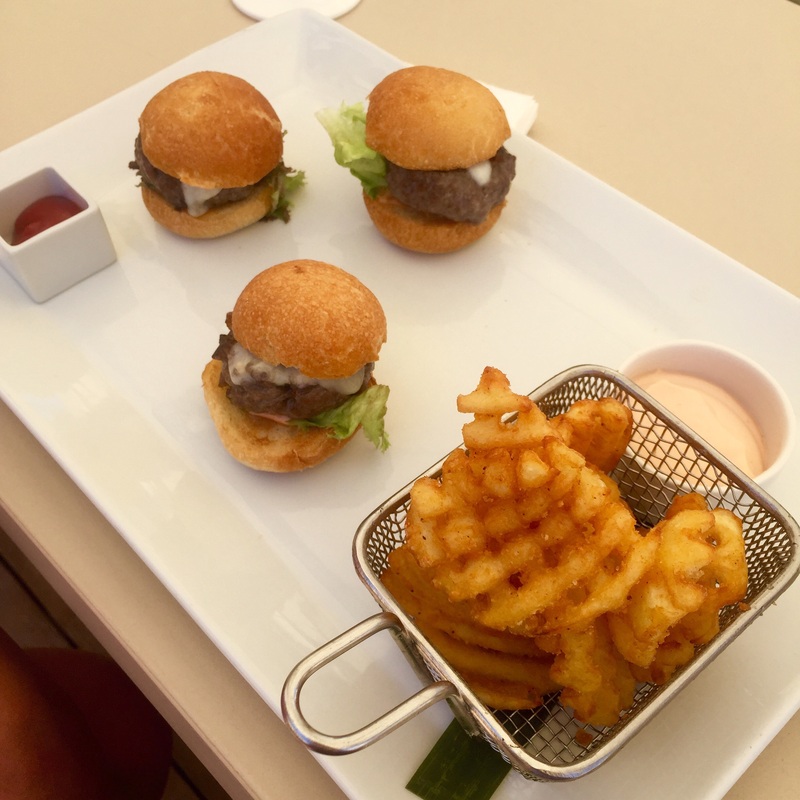 We enjoyed eating dinners out and snacking during the day at the hotel and Nikki Beach. 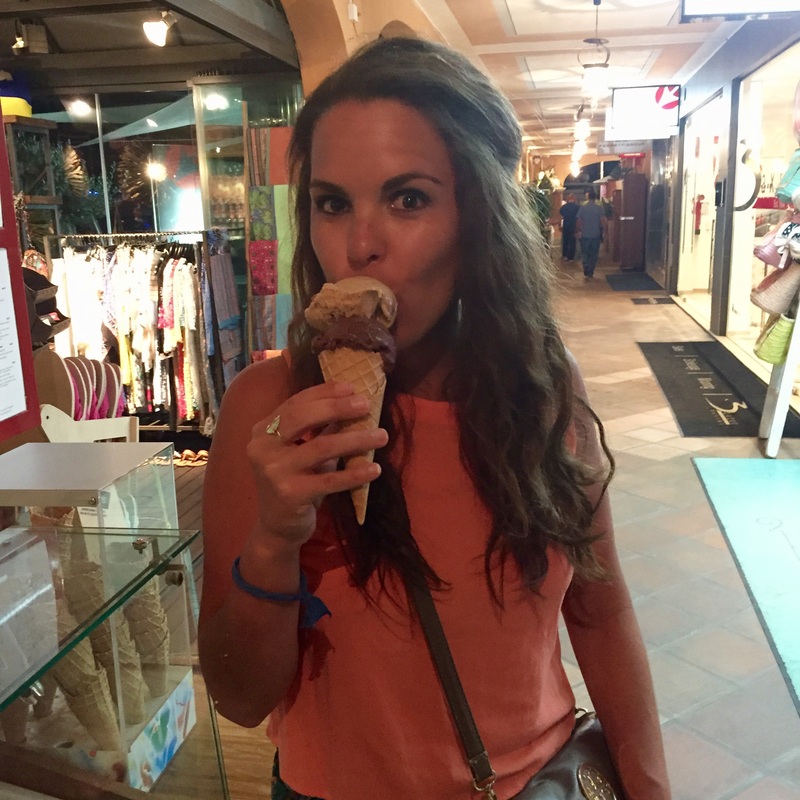 Here is our Mallorcan Food Story! Our first night in Mallorca we went here before heading out to Pacha for some after dinner drinks and dancing. 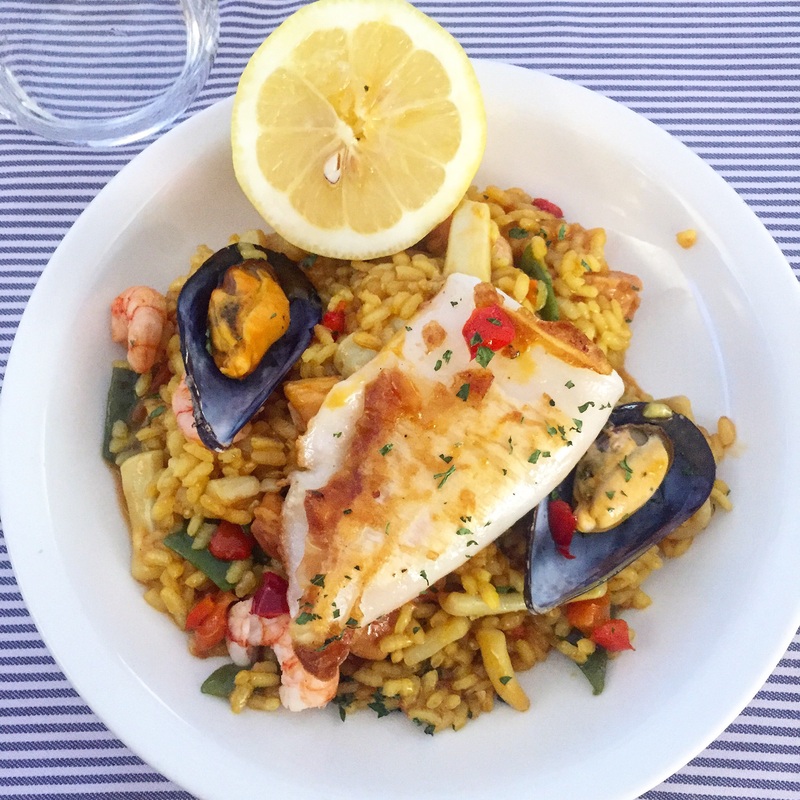 Cabalito de Mar was the perfect outdoor seafood Paella dinner with a great ambiance! We had delicious Spanish wine and bread and olives to accompany our main dish – Paella! The seafood Paella was filled will shrimp, crab legs and fish and boy did we dig in cracking those crab legs and de-shelling the shrimp! 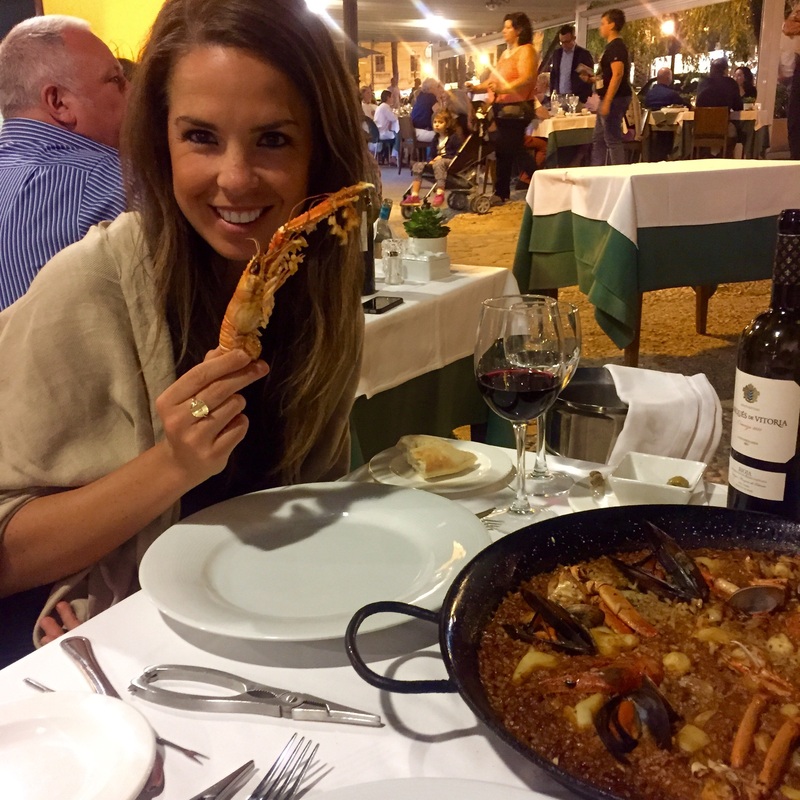 If you are looking for good seafood and paella this is the place to go! Located in Puerto Portals, this restaurant is one of the most popular places to eat after a long day in/on the water. Not only is the view and ambiance great – the people and food are fabulous! We sat at the bar and chatted with some vacationers next to us. 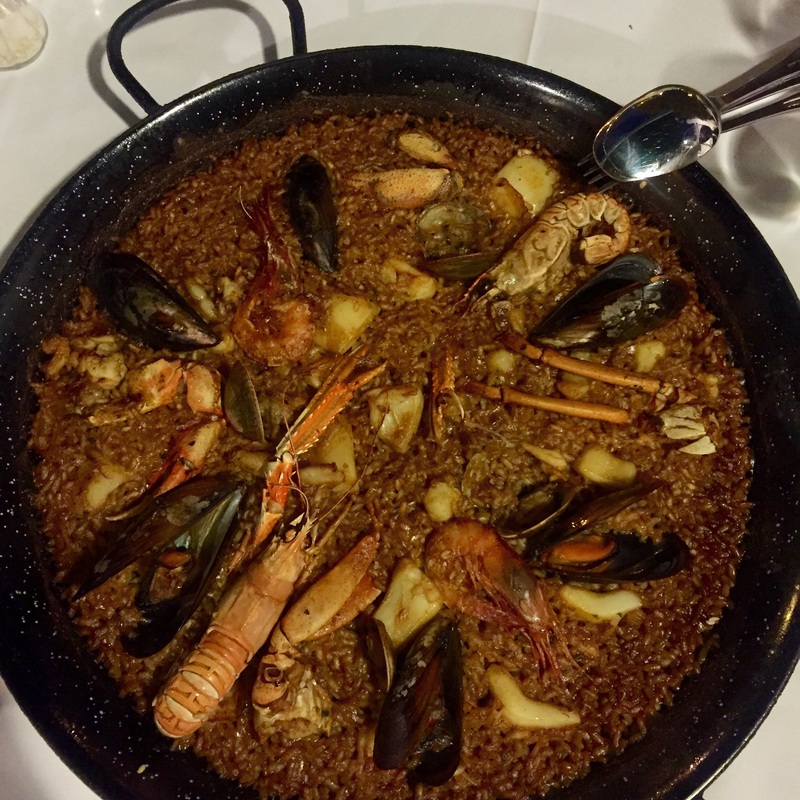 They suggested that we get their famous seafood paella and that’s exactly what we ordered! We started the meal off with a glass of rosé and a tomato and mozzarella salad. Once our paella was ready our waited poured us a beautiful Spanish robust red that complimented the seafood and rice. Don’t forget to order their famous Apple Pie!! Not only is this place the spot to be after dinner – it’s quite the place to eat dinner! We didn’t have reservations, but we lucked out on a high top table in the bar area. (It might had to do with the cute bartender that started talking to us!) Needless to say – we had the perfect view of the harbor and the sunset. We ordered the vegetarian spring rolls, Spaghetti con gambas, tomatitos cerezas y rúcola (Spaghetti with prawns, cherry tomatoes and rocket ) and the beef fillet on spinach crème with wild mushrooms. The spaghetti was delicious and we wish it didn’t end! The wine selection was great and the service was suburb. We continued the night in the upstairs bar and met some new friends while dancing the night away. As you probably had seen from our last post, we spent some afternoons at Nikki Beach! It was the place to be!! (Check it out here!) And since we were there a lot, we enjoyed trying their food which was actually really good! 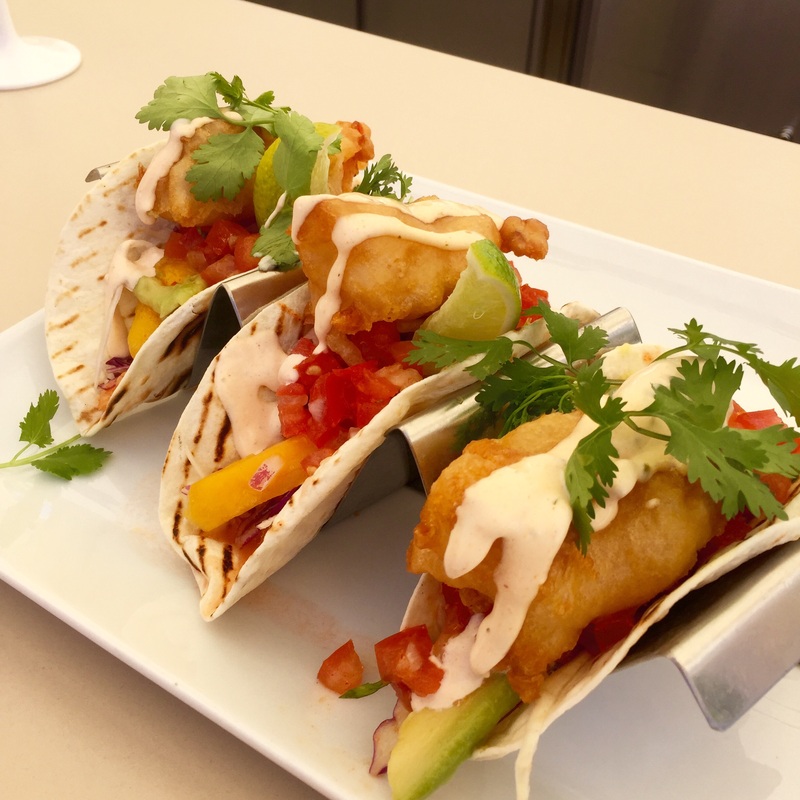 We got the chance to try the caviar boat, the fish tacos, hummus plate and the sliders. 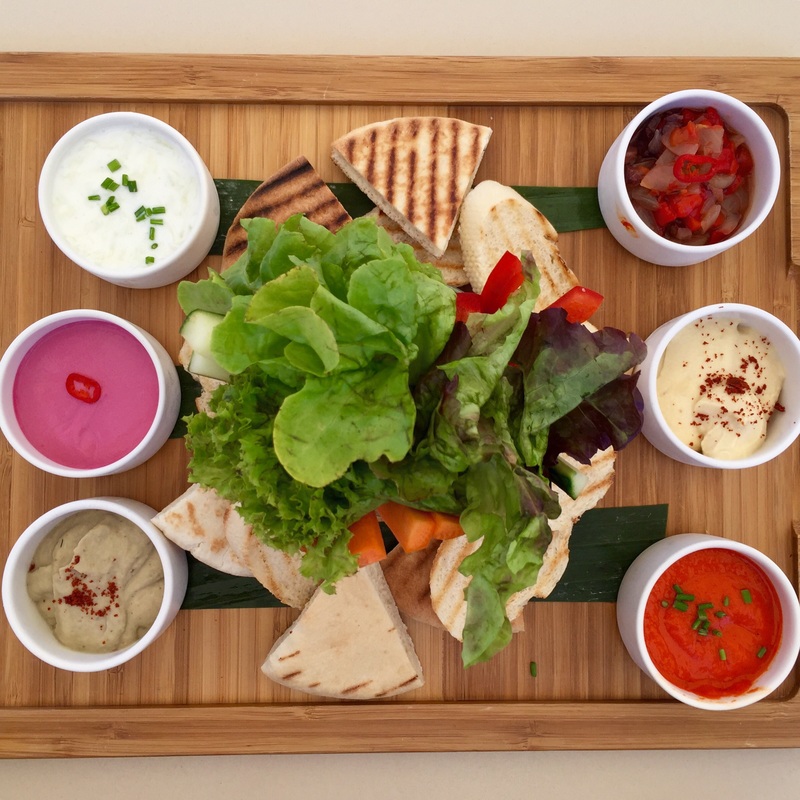 The food was fresh, flavorful and perfect for the pool party atmosphere. It accompanied our rosé well! 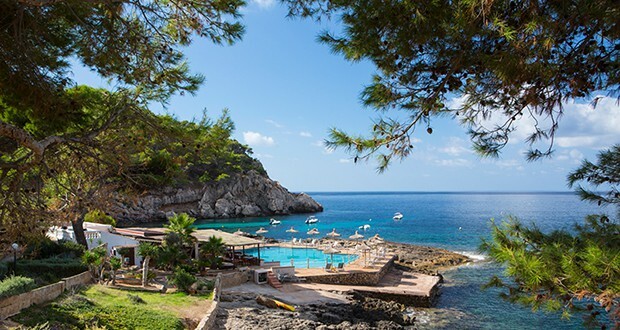 We didn’t make it to this spot, but it’s on our place to go back to next time we are in Mallorca! A group of people we met highly suggested going here for dinner to watch the sunset since its right on the water and the food is delicious. If you make it here, please let us know!! This makes me want to travel!